The first inhabitants to make the area their home were the native North American Mi'kmaq, giving Malagash its name meaning "Place of Games". It is believed that lacrosse was played here first. 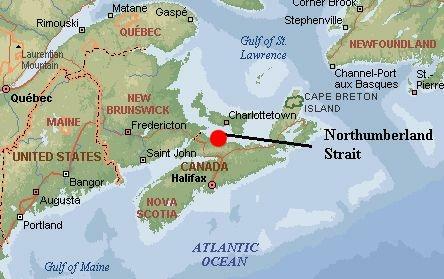 French settlers came to the area around 1713 and stayed until 1755 when they were forced to leave by soldiers from the British Garrison in Halifax. Many French place names and Acadian Dykes still remain along the North Shore as evidence of their presence. Many of the local residence today can trace their family history to the English and Scottish immigrants or the United Empire Loyalists that came to start a new life in the Maritimes around 1784. Malagash is also famous for the first salt mine in the British Empire. In 1918 Peter Murray bored a well and struck a major rock salt deposit and at times the mine was known to employ as many as one hundred and twenty men. The Malagash Miner's Museum is a highly imformative place to visit where more of the local history can be discovered. Just minutes from Cambra Sands is the community of Wallace, originally known as "Remsheg", meaning "the place between". In 1825 the Scottish immigrants petitioned the Government to change the village name from Remsheg to Wallace, to honour Scottish hero William Wallace and the provincial Treasurer at the time Michael Wallace. Shipbuilding and trade became major industries in Wallace, and during the mid-nineteenth century there were eleven shipyards working. Wallace also supported a number of profitable stone quarries. Sandstone has graced hundreds of buildings throughout North America including the Province House in Halifax (1811) and the Parliament Buildings in Ottawa. The Wallace and Area Museum operates year-round and is located in the 1839 home of Wallace resident John A. Kennedy.